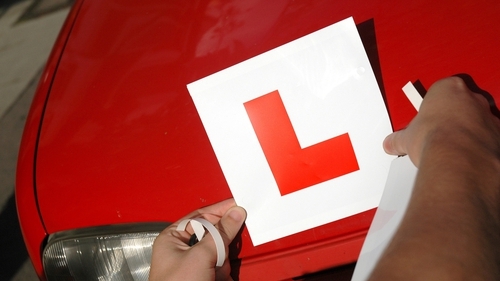 A spokesperson from road safety group Promoting Awareness Responsibility and Care has said that effective deterrents must be put in place to stop learner drivers from breaking the conditions of their learner permits. Yesterday, a 21-year-old student received a suspended three-year jail sentence for dangerous driving causing the death of mother and daughter Geraldine and Louise Clancy in Cork. Susan Gleeson was an unaccompanied learner driver when she lost control of her father's car and caused the crash on the Ballyduff to Fermoy Road in December 2015. Speaking on RTÉ’s Today with Sean O’Rourke, spokesperson Ann Fogarty said the conditions are quite clear: learner drivers must take 12 lessons, display 'L' plates and drive with a qualified driver. She said that if permits were removed from anyone in breach of these conditions, then the minds of parents and learner drivers would be quickly concentrated. "We need to put in effective deterrents to stop learner drivers who, after all, are only on a learner permit. "Now they've been given this permit to use the public road to learn to drive and we must, must put in deterrents if they're going to be breaking the conditions of that permit." Ms Fogarty added: "A car is a lethal weapon and you must be very skilled to use a car, in a safe way, that is not a danger to the public. "Please, please respect the learner driver laws, and parents, please respect the learner driver laws. "The consequences of not respecting them are what the Clancys are going through and it's an absolute nightmare."